Why Outsource Cold Calling Services? 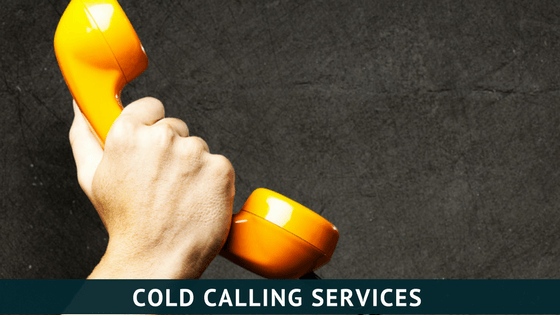 Cold Calling Services – Why Your Business Should Go For It? Home Growth Cold Calling Services – Why Your Business Should Go For It? Salespeople and business owners find it terrifying and cumbersome calling up total strangers to talk about their services and to persuade them to either buy their product, or set up a meeting. But from a strictly financial perspective, the telephone makes for an excellent business tool. It is, in fact, a very reliable method of advertising your products and services while creating publicity for your business at the same time. Many successful businesses such as Uber, Fortune 500, Twitter, and other high-growth startups, still rely on it to drive revenues. These companies have sales representatives who eagerly dial numbers day in and day out. It takes a lot of time and company resources to employ, train, and oversee a team of cold calling personnel. So outsourcing your cold calling services is an excellent choice. Cold calling helps increase your income and makes your business flourish. You should have a third party with the accurate setups and skilled workforce to take the responsibility and perform the task efficiently. Here are a few reasons why your business should outsource cold call services. What your customers care about in B2B cold calling is a fantastic sales experience and not the price and quality of your product. Most startups can afford to maintain an inside sales departments. However, cold calling service is a money burner. Hiring and training every new staff member takes a lot of money and time. It can also take about a year for a new employee to contribute to the growth of your company and you will have to pay, throughout the process. Do the math; how many hours is your calling team devoting to proactively cold calling, prospecting and setting appointments? Now figure out how much you're spending for the sale, they don’t make. Don’t forget that those phones, computers, desk and other office supplies they use, come with their price tags; also when a caller leaves the company, it's a double hit. As soon as that desk, phone and computer are unoccupied; your business flow is negatively impacted causing the loss of revenue. Don’t forget to add the cost of hiring the replacement, along with the cost of training and the ramp-up. Outsourcing your cold calling services will save you some time and money and will guarantee an efficient sales experience. Cold calling agents are paid on a fixed plus pay-per-performance basis. In other words, if the agent sells, he or she gets paid better, and hence it keeps them motivated to keep going. The commission arrangement in a cold calling campaign is dependent on the quotas determined by the client. The commission rate is proportional to the total approved sales which are progressive, but as the agent moves up the scale, the incremental amount decreases. The bigger the profit margin of the client, the bigger the volume of sales. ​Outsourced telemarketing allows you to trim your staff's size and to free your internal resources. Do your callers have standards like the sales process outsource agency? Being on the phone approximately 6 to 7 hours a day, 14 dials an hour, 110+ a day, 2300+ a month? Working with a Sales Process Outsource agency won’t slow your pipeline down. In a situation where the dedicated Sales Associate is not available, On-call Backup Sales Associates will assume their role. A client can demand that the outsourcing company increases the number of agents because of the pay-per-performance compensation structure, without incurring additional costs. This increases the frequency of cold calls made and hence, the probability of generating more sales. Again, only qualified purchases are cleared for remuneration to the center. A sale that is filed into the sales summary report but is later disqualified after undergoing Quality Assurance protocols will not be paid for. Cold calling services agencies help you to maintain a 24/7 exquisite sales process throughout the world. This allows you to focus more on the core of your business without spending time on management which is a time-consuming activity. The Sales Process Outsourcing agency is committed to keeping you fully engaged and informed throughout the campaign process. They endeavor to offer the latest technology, they are also adamant about open lines of communication, and most importantly, they have well-established processes tailored according to the client's needs. The management team of the agency must continually refine and hone their methodologies to give their clients the best possible outcomes. Cold calling mistakes can be painful, it can destabilize the sales teams and — more ominously —annoy your customer. A good and reliable Sales Process Outsourcing agency is far less likely to make a severe error than your in-house employee. They make your service Reliable. Cold calling outsourcing will make your business reliable. A Sales Process Outsourcing agency uses an already established sales process. Their functions and activities are reliable, and their output speed and quality do not vary with illnesses or vacations. Every cold call is all about satisfying customers’ sales experience, being unique, and motivating them to make the right choice. The Sales Process Outsourcing agency guarantee worthy representation of your company as all their sales associates are carefully and delicately screened and trained to make certain that your business is well represented in a professional manner. For a Sales Process Outsourcing agency, it is not simply dials, leads, a caller, and a script. Their livelihood is dependent upon successful campaigns that result into a long-term relationship. To make that happen, they give you much more than filling your pipeline with the first sales call. They would continuously refine the profile of your ideal prospect and be diligent enough to ensure your company's initial statement is indeed a benefit to the majority of your prospects. It is the outsourcing cold calling company’s commitment to keeping you fully engaged throughout the campaign. They have technologies for recording all calls, revising and collecting real-time competitive information and market data. Every result, statistic and data list is stored in the client’s private library and can be reviewed by any member of your management at their convenience. ​Telemarketing companies should be flexible enough to match your marketing needs. Cold calling is restricted to certain hours of the day depending on the country. Should the allowed period fall after normal office hours, outsourcing these services to another country can take advantage of time zone differentials. A new service or product focus should not be a problem for any Sales Process Outsourcing agency. You may even want to run two or more completely different campaigns; all you should need to do is to demand that the agency add more calling associates as the campaign requires. The Sales Process Outsourcing agency will handle the rest and have the additional campaign up and running as soon as possible. Outsourcing your cold call services is the best strategy towards understanding your potential customer. According to collected data, they will measure client’s satisfaction and improve the customer’s experience every time. You can run two or more different campaigns, and they will all be supported perfectly by the outsourced agents because they are scalable. A dedicated team of cold callers is always flexible and scalable. 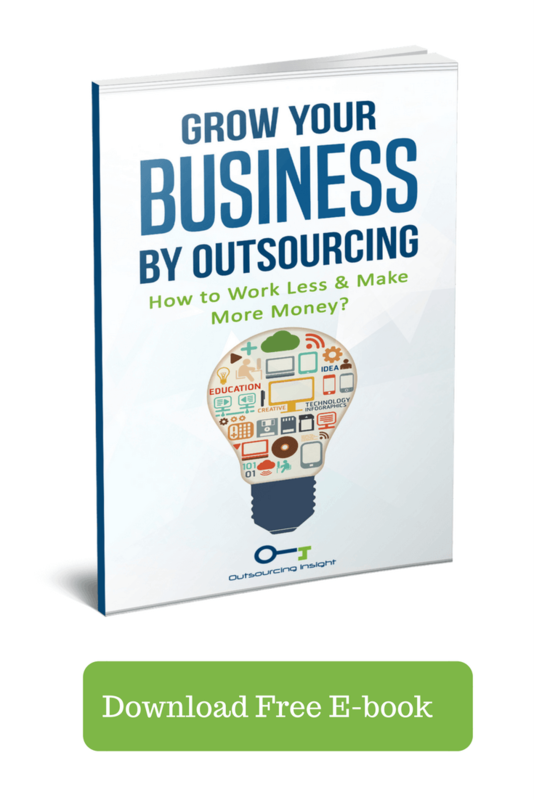 Outsourcing has shown to be the little-known secret in the back office to the forefront of the business development strategy for one simple reason. If you want success in your cold calling processes, you need to outsource it to a reliable and professional sales process outsourcing agency. The team that consists of highly skilled and experienced professionals, who have worked in this field for years and have established lots of calling activities from the scratch and best of all showed a fantastic level of scalability, should be your choice. How to Select the Best Digital Marketing Company? Lead Generation With Telesales Still Work?